Saturday Night Live meets Lawrence Welk meets The Carol Burnett Show, bringing you the ultimate feel-good Christmas variety show. Filled with hilarious Christmas tunes, dazzling Holiday dance numbers, and celebrated scared songs, our Christman event will put you right in the Holiday spirt and is good for the whole family. 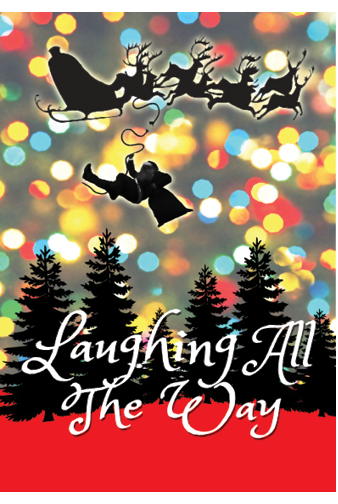 if you loved last year's Christmas Cabaret, then Laughing All The Way is just the show for you!